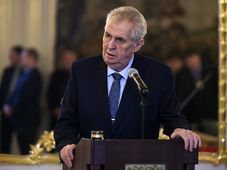 Seven months after the country's inconclusive general elections, the Czech Republic finally has a legitimate government. 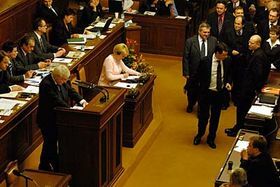 Prime Minister Topolanek's centre right coalition government made up of the Civic Democrats, Christian Democrats and the Green Party won a vote of confidence in the lower house on Friday. Of the 198 deputies present it got approval from 100. Its survival was secured by two rebel Social Democrat deputies who agreed to tolerate the government -by absenting themselves from the assembly hall - in order to end months of political paralysis. When you won the elections in June, I said 'congratulations' and you told me not to say that yet - you were quite pessimistic. Can I say that today? "I think I was very realistic then." Prime Minister Mirek Topolanek, photo: CTK Is it really advantageous for you to be in a ruling coalition for four years considering that opinion polls suggest that you, the Civic Democrats, would be better off if elections were held today? "When we will no longer be able to push through our reform programme, or reform steps, we will try to call early elections to let people decide what the political situation should be for a second time." Although there are doubts regarding the viability of this government the head of the Green Party Martin Bursik said that other alternatives -in particular a grand coalition between the two strongest parties - would have been much worse. 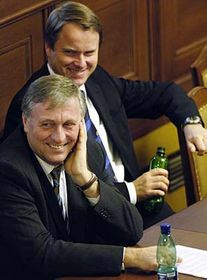 Mirek Topolanek and Martin Bursik, photo: CTK "Imagine if we had a grand coalition with a majority, then the opposition wouldn't be able to do a single thing and that would be much worse for democracy. So, I think there are positive aspects to this situation and we are going to work on our proposals as individual ministers and on the government proposals too so that we can persuade the Social Democrats that at least part of them vote for the amendments or laws here in Parliament." What do you expect will give you the most sleepless nights now as environment minister? "My ambition is to get the topic of the protection of the environment and quality of life much closer to the public. We are still in a society where the people don't care about harming the environment that they see on their way to work or to the cottage on the weekends. We should change this attitude so that the people understand that the quality of the environment affects them personally." Jiri Paroubek, photo: CTK For the Social Democrats the defection two of its deputies was a bad blow. 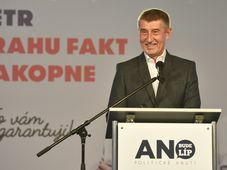 But after a stormy nine hour debate in the lower house in the course of which Social Democrat deputies railed about blackmail, fraud and betrayal, their leader Jiri Paroubek appeared to have become resigned to the party's new role in Czech politics. "I think that these two gentlemen formed a new coalition party - a fourth coalition party - and it is not a problem of the Social Democratic Party at this moment." You've said that the Social democrats are not going to be a "zero tolerance" party; they are willing to discuss some reform plans. Could you name some of them? 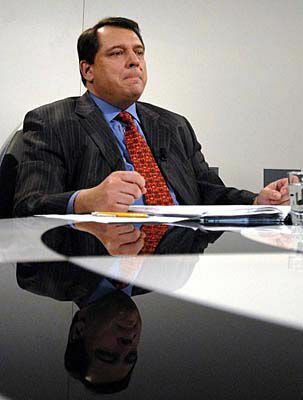 "Cooperation in pension reform, for example." You've said earlier that many of the new ministers in the government are quite inexperienced. Could you name a few and tell us what you think their biggest challenges will be? 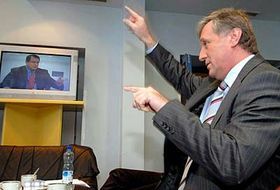 "I think that the majority of government ministers have no experience in management, the industry, and leadership roles. That is not to the government's advantage and it is a great problem for the Czech Republic." Photo: CTK Can you give us some concrete names? "We can name the Prime Minister. He has no experience in any kind of leadership." 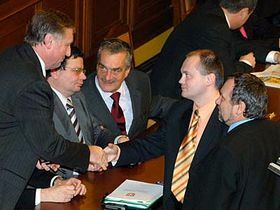 The vote of confidence was preceded by some nine hours of heavy discussion and debate. What was the aim of this? "I think it is normal. We have seen it in Great Britain, Germany, and other states in Western Europe. I feel that it was impossible to say 'yes' to or agree with many articles in the government's policy programme. So, it was necessary that the Czech public hears the Social Democratic Party's statements." "The government that the Czech Republic is getting is a rather unstable and weak government. It is a government that will be under pressure from several sides. Certainly it is not liked by President Klaus who has expressed reservations to it. 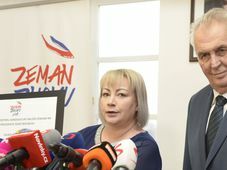 It is not a government that all Civic Democrats - the largest party in the new coalition - are happy with and finally it is a government that will be under strong pressure from the opposition. It is a government that depends on the votes of two Social Democrats and they will be very unstable supporters who may decide at any time to go against this government. So I do not think that this government can possibly survive for a very long time." Do you feel that this will, in fact, be another step to early elections? "I think that this government will survive for several months. However it will be under very strong pressure any time it tries to discuss any serious reforms because it does not have enough votes to push such reforms through. It will certainly be faced with internal problems when it starts discussing the budget for 2008 and moreover there may be surprises in store - there may be coalition deputies who may not be happy with this government. As far as early elections are concerned, I think it will be very difficult to trigger early elections. This government has been promising to resign if it is not able to push through serious reforms. However the mechanism that is described in the Constitution which the government would like to use - that is to link a vote of confidence to a reform bill which would trigger early elections if that bill was not passed within three months - that mechanism depends on the behaviour of the opposition. If the opposition does not play along then it could be extremely difficult to trigger early elections. So I am afraid that if this government collapses, given the deadlock in the lower house of Parliament it may not be easy to move forward." Are you saying that the Czech Republic is now facing another long period of instability? "I am afraid that the Czech Republic is in for another long period of instability. The new government will not be able to provide stability -it will be under constant pressure and also if the government goes then we may find ourselves in a very similar situation to that which we experienced in the last seven months."